Clean Fresh UK. Domestic Carpet Cleaning, Upholstery & Sofa Cleaning. 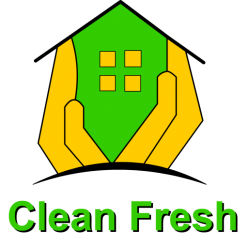 Established over 20 years ago, Clean Fresh UK cleaning is a well-known and trusted name in the domestic carpet cleaning industry. The company is family owned and operated. The company serves Manchester and the surrounding area. We keep current with the latest cleaning technology and products that will ensure you receive the highest quality cleaning available. We are highly committed to delivering quality customer service, you will notice this when you schedule your cleaning project with us. We aim for all of our customers to be happy and satisfied with our services. The equipment and products that we use ensures a drying time that is faster than most of our competitors. We also use products that are created to minimise or eradicate allergic and asthmatic reactions. We have been working with local estate agents for a number of years. We know what it takes to make a property clean and if you are moving out or moving in, then give us a call and we’ll be able to prepare your property as it should be – clean and spotless. Our work is fully guaranteed and we are insured. Pensioners may be eligible for a special rate for domestic carpet cleaning.